For your own 2018 Parade T-shirts, order here! The 14th Annual “Mile for Mustard Seed” walk is on Saturday, June 16! We will start at Cullen Park (on Summit Street in Point Place) and finish at Friendship Park (on 131st Street). A $15 donation is all it takes to join the walk! You get a free T-shirt, refreshments are provided, and all proceeds go to Mustard Seed, a local non-profit organization that supplies food, school supplies, and other necessities to area families. 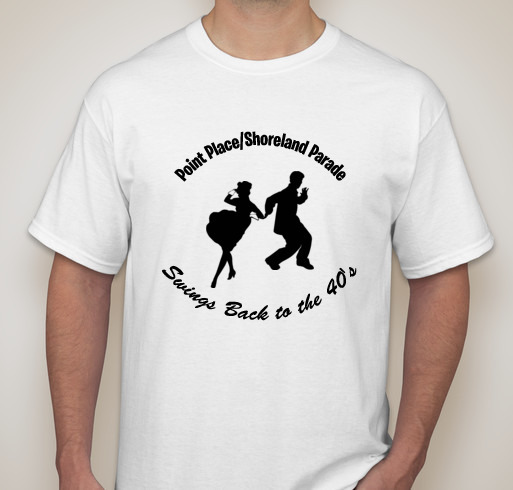 For a $30 donation your name or the name of your business will be printed on the back of the T-shirt. You can run or walk or just donate! Please, we need your support! Note: the registration deadline for walking and sponsorship is Friday, May 25, 2018. For more information contact Joyce Ejhinger at jejhinger@aol.com. Our May, 2018 Newsletter, put together by Kellie Schlachter, is available. Take a look at it – valuable information inside! Our April, 2018 Newsletter, put together by Kellie Schlachter, is available. Take a look at it – valuable information inside! The Scholarship Foundation is now accepting applications for scholarships! For over 30 years the PPBA has awarded thousands of dollars in scholarships to high school seniors from the Point Place area. The Foundation was formed to raise money and accept donations for this purpose. A Golf Scramble held in September each year is the main fundraiser for the foundation. The PPBA Scholarship Foundation does not discriminate regarding race, religion or gender. Members of PPBA and their immediate families are not eligible for the scholarships. Students attending any high school or that are home schooled are eligible. Only residents residing in zip code 43611 will be considered. The PPBA Scholarship Foundation awards several scholarships each year to High School seniors in the Point Place/Shoreland area. We invite you to apply for a PPBA scholarship. Here is all the information you need. Remember to email your name, address, and telephone number to ppscholarship@gmail.com to let us know that you are downloading the application so we can look for your completed packet. Thank you! For more information or questions, contact President Pat Stimson (419-349-6168), or send an email to ppscholarship@gmail.com. On Tuesday, November 28th, Friendship Park Community Center (a 501(c)(3) Non-Profit Entity), located in the Point Place Neighborhood, will participate in the Toledo Community Foundation’s Fund-Raising, Matching Grant Program – #GivingTuesdayNWO. #GivingTuesdayNWO is the local effort of a National Day-of-Giving program. Its goal is to promote and encourage public donations through a “matching grant” opportunity by drawing the attention of the Public to the needs of local neighborhood activities/programs during the Holiday Giving Season and to promote financial support for these activities/programs through Tax-Deductible donations. Any sized donation will be greatly appreciated by all those who use the Center. Your check or bank draft must show the date “November 28, 2017” to qualify for Matching Funds. Checks made out to Friendship Park can be given to Clem Cybulski through next week as long as they are dated for (today) November 28, 2017. Our November, 2017 Newsletter, put together by Joyce Ejhinger, is available. Take a look at it – valuable information inside! Our September, 2017 Newsletter, put together by Joyce Ejhinger, is available. Registration is at 11:00 am for a 12:00 noon shotgun start. Dinner of prime rib, provided by Black Pearl, begins at 5:30 pm. If you don’t want to golf, you can still enjoy the prime rib dinner for only $25.